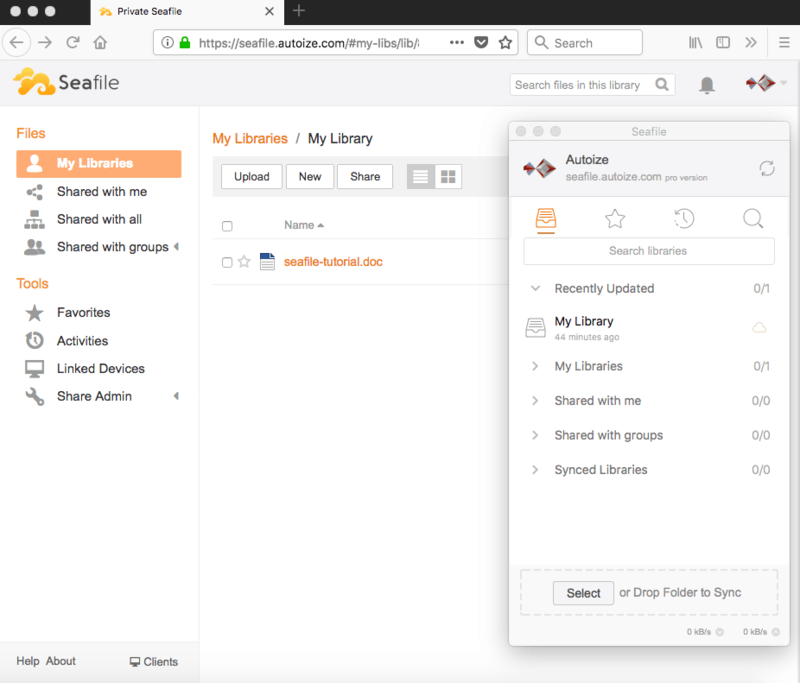 SeaFile is an open source file sync & share solution which gives your team the convenience of a cloud storage service such as Dropbox, Google Drive and Microsoft OneDrive in a trusted, self-hosted environment. SeaFile uses a concept called Libraries to organize different collections of files and folders. Each user can create multiple libraries to segregate data for different purposes (e.g. work vs. personal) and delegate read-only or read/write access permissions to other users as needed. SeaFile is written in C, giving it highly optimized performance compared to other apps built with higher level programming languages such as PHP. Deployments at universities across Europe, including HU Berlin and Johannes Gutenberg University of Mainz, have shown that a few SeaFile virtual machines can easily scale to thousands of users.